"A fun puzzle adventure you won't be able to put down!" Game Goal: Clearly inspired by the classic Tetris, BRIX! 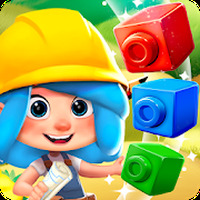 Block Blast features fun gameplay in which you have to combine blocks of the same color to advance to the next level. How to Play: The dynamics are simple, simply loosen the block towards one of the columns to combine them with similar ones. Graphics: The scenarios are composed of colorful blocks and fluid animations. Game play: BRIX! Block Blast differentiates itself from other puzzles of the genre by allowing you to drop the blocks from the top. 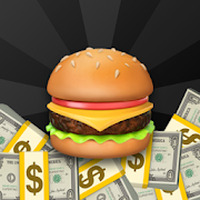 You also have special blocks, bubbles, punctuation rewards, bonuses and other items that boost the gameplay. Installation requirements: A minimum of 49M of free memory space and Android 4.4 or higher. Progress can be saved by connecting the game to your Facebook account. The player can send and receive lives. You can compete against friends and other users online. It may take time to gain more lives. Do you like BRIX! Block Blast?